In our workshop we operate a special department for the wood sawing and evaluation. 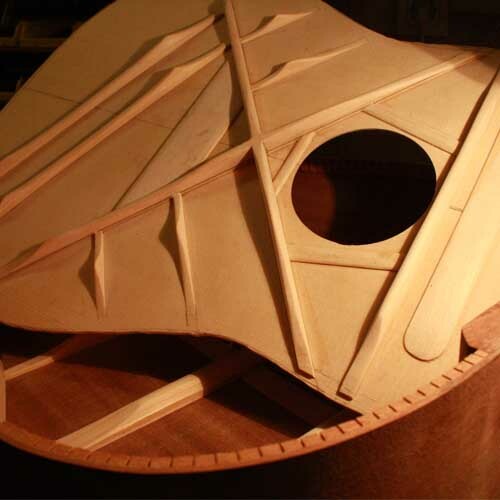 We have been supplying luthiers and craftsmen of all sizes around the world for over 20 years. Cretan Cypress for Flamenco guitars. Our Cypress is one of the best quality wood you can find on the market. Mulberry (Black and Brown) is our most desired wood for tranditional instruments as cretan Lyras and Bulgari, Greek Tzouras etc. For guitars back and sides we use woods as Indian Rosewood , African Mahogany, European Flame Maple and our Cypress. Under special request for Greek traditional instruments we use Cretan Walnut and Black or Yellow Blubbery. 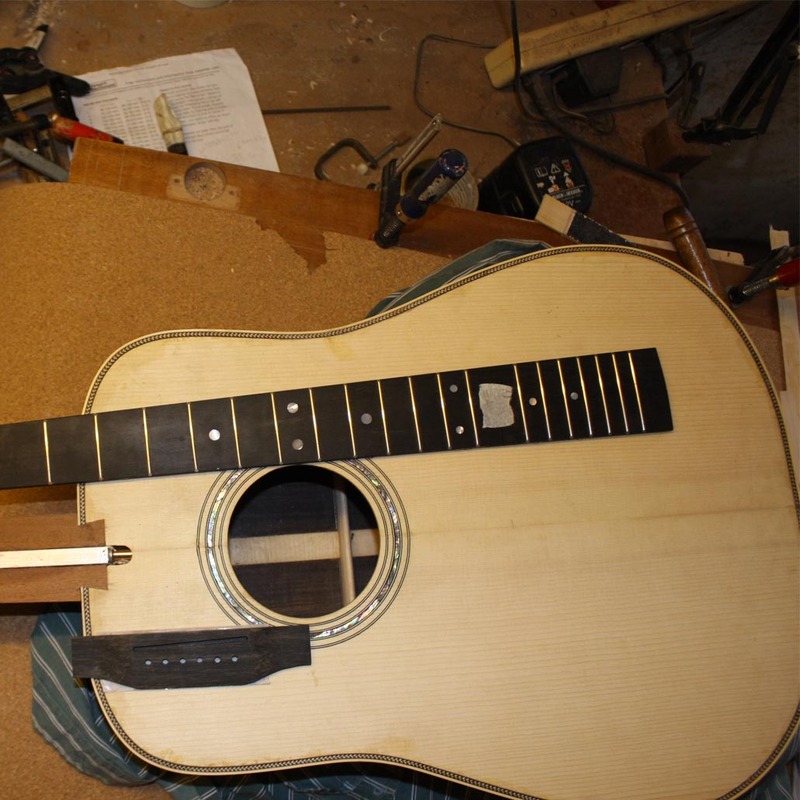 For guitars we use Sitka, Adirondack or European Spruce, Spanish Cedar. For Greek traditional instruments we use European Spruce, Red Cedar and rare old Cedar of Lebanon. For necks we use African Mahogany, European Flame Maple, Hard Maple (Electric guitars) and Red Cedar. We have limited amount rare series of vintage capacitors and transistors which are not any more available. Our electric guitars are equiped with CTS or Alpha potentiometers, OAK or Switchcraft switches and Switchcraft or Neutrix jacks. For pick ups we use Seymor Duncans or Bare Knuckle and a lot more up to the customer desires and needs. 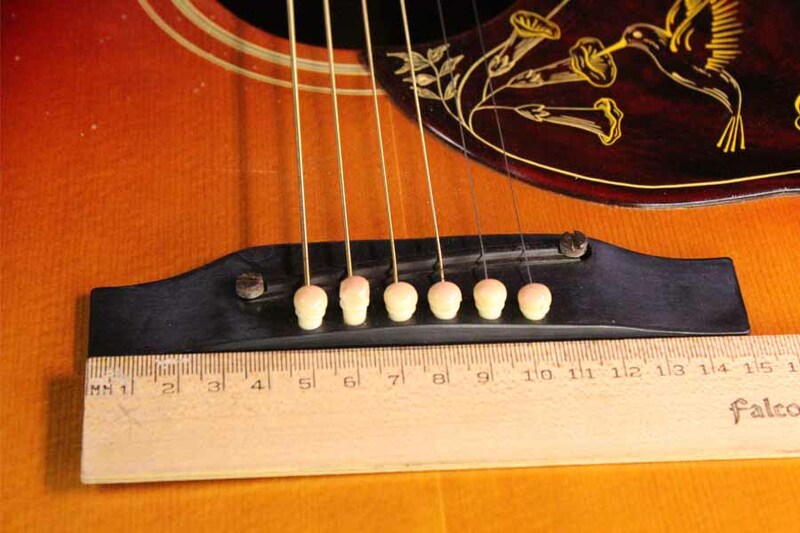 Our acoustic guitars can be loaded under request with undersandle pick ups or microphones. Most often we install on our guitars B-Band, LR-baggs and Schelter, up to the customer needs and desires.